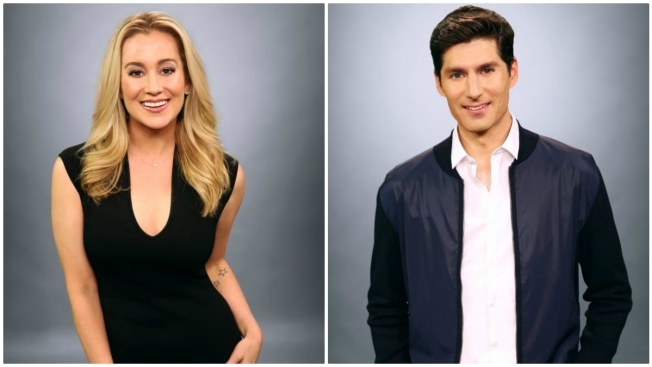 Kellie Pickler and Ben Aaron. Kellie Pickler was born and raised in North Carolina and now calls Nashville home. She first won hearts and gained national attention as a Top 6 finalist on American Idol at the age of 19. Kellie has four critically acclaimed country music albums to her credit, including 2013’s The Woman I Am, and won the coveted Mirror Ball Trophy on the ABC hit show Dancing with the Stars. She is an avid supporter of the military and has completed 11 USO Tours, performing for military serving abroad. Her ongoing CMT docu-comedy series I Love Kellie Pickler debuted in November 2015 and returned for its third season this summer. New York native Ben Aaron has earned four Emmy Awards as a features reporter for New York Live on WNBC and has numerous TV credits as a contributor for Extra, Meredith and Today. Many of his videos on YouTube have gone viral, including his “Dance Walk” down 5th Avenue which earned over 3 million views (and counting). He recently teamed up with his wife Ginger Zee, chief meteorologist for Good Morning America, on a new home renovation show on the DIY Network called Renovation Realities: Ben and Ginger.